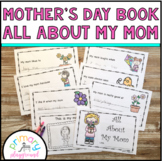 Mother's Day Card - All About Mom! This is All About My Mom. I have my students fill this out about their mom and put it in their mothers day card on the left hand side. 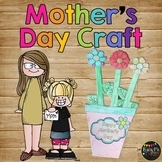 On the front, I put the Mother's Day Flower Pot, which you can buy in my TPT, and on the right I have them write something to their Mom and draw a picture. Enjoy! 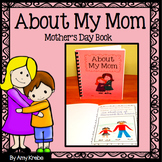 Easy mini-book can be sent home as a Mother's Day gift from your students. Simply print, cut and staple then have your students complete the sentences. 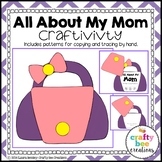 Moms will love it! 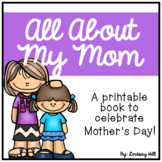 This "All About My Mom" book encourages student creativity. 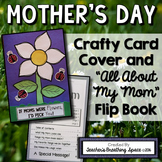 Mothers love their child's original writing and they will get just that in this special Mother's Day book. All frames from www.mycutegraphics.com . 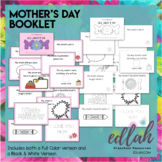 This is the perfect addition to your Mother's Day celebration. 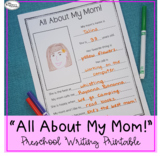 Let your kiddos write, "All About Mom". This is a single page printable in black and white, just print & go! 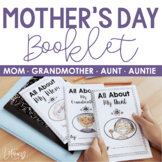 Students can fill in the blanks on this sheet to describe their mother. These can be HILARIOUS! Moms will love keeping this for years. 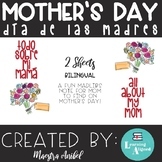 When Mother's Day comes around, invite your students to complete this MadLibs style note. It's available in both English and Spanish. 1. Read over the note before sharing it with your students. 2. Model the type of words or information you should use for each blank space before having them begin.3.